‘Parliamentary diplomacy’ has been defined in various ways (e.g. Cutler 2006; Šabič 2008; Cofelice 2012). One valid definition is offered by Weiglas and de Boer (2007, pp.93-4): “the full range of international activities undertaken by parliamentarians in order to increase mutual understanding between countries, to assist each other in improving the control of governments and the representation of a people and to increase the democratic legitimacy of inter-governmental institutions.” Various activities have been subsumed under ‘parliamentary diplomacy’. It may include the – institutionalised or informal – ways through which national parliaments and their members are engaged in international affairs and foreign policy (IPU 2005; Beetham 2006). It certainly includes bilateral relations (e.g. ‘friendship groups’, exchange of delegations) between parliaments, as well as relations between national parliaments and inter-parliamentary organisations (IPU 2005; Stavridis 2006; Malamud & Stavridis 2011). However, multilateral activities and settings are at the core of ‘parliamentary diplomacy’. Parliamentary diplomacy is more institutionalised than ‘simple’ parliamentary cooperation (Stavridis 2006). The institutional framework within which multilateral parliamentary diplomacy is mostly exercised are the various ‘International Parliamentary Institutions’ (IPIs) (Šabič 2008; Cofelice 2012). Within the various IPIs, parliamentarians cooperate in order to adopt ‘decisions, strategies or programs, which they implement or promote […] by various means such as persuasion, advocacy or institutional pressure’ (Šabič 2008, p.258). A basic classification of IPIs distinguishes between ‘international parliamentary organs’ (IPOs), i.e. ‘organs of international governmental organisations composed of parliamentarians’ and ‘international parliamentary associations (IPAs)’, which are not attached to an international organisation but rather constitute such themselves (Šabič 2008, p.258). The Mercosur Parliament (Parlasur), the Parliamentary Union of the Organization of the Islamic Conference and the European Parliament constitute examples of IPOs, whereas examples of IPAs include the Inter-Parliamentary Union (IPU), which is the oldest IPI, the Interparliamentary Assembly on Orthodoxy (IAO) and the Parliamentary Assembly of the Mediterranean (PAM). ‘Transnational networks of parliamentarians’ (Cofelice 2012), which are ‘voluntary associations of national parliamentarians’ (Cutler 2006, p.80) can be considered as a major subcategory of IPAs; Parliamentarians for Global Action (PGA) probably constitutes the foremost representative of this group, which also includes organisations such as the Parliamentarians for Nuclear Non-proliferation and Disarmament (PNND) or the African Parliamentarians Network Against Corruption (APNAC)The numerous (more than 70) international parliamentary assemblies, associations, unions and networks can be categorized on a number of other dimensions as well, e.g. depending on the regional, interregional or global base of their membership, their issue-specific or broad focus, their legal status, etc (Šabič 2008; Cofelice 2012; Alger & Kille 2014). Based on the above, the actors of parliamentary diplomacy include national parliaments, parliamentarians, political parties, local parliaments, regional and international parliaments (Fiott 2011). International activities that have at their core some form of deliberation, cooperation and coordination among parliamentary actors have steadily increased during the last decades (Šabič 2008; Cofelice 2012). The proliferation of international institutions, the rise of regional integration, globalisation, democratisation, transgovernmentalism, the realisation that at least some form of international cooperation is needed in order to tackle a growing number of political, economic, social and environmental issues constitute some global trends that have underpinned this strengthening of parliamentary diplomacy. This emergence of parliamentarians as international actors does not imply that governments have lost their dominant role in defining one state’s foreign relations and diplomacy (Cutler 2006; Weiglas & de Boer 2007; Šabič 2008; Cofelice 2012). More broadly speaking, although the strength of various non-state actors in international affairs is clearly upgraded, governments and states have not lost their primacy. The relationship between parliamentary and ‘traditional’, state diplomacy is, therefore, uneven, although the degree and form varies: sometimes parliamentary diplomacy is merely an extension of traditional diplomacy, whereas in some settings it retains an amount of autonomy vis-à-vis state interests (Stavridis 2006; Fiott 2011). The continued primacy of states in international politics as the legitimate representatives of peoples and carriers of sovereign power is directly linked to a structural weakness of parliamentary diplomacy, as reflected in its limited political power and decision-making responsibilities. There are, of course, power inequalities among parliamentary actors themselves: IPOs are generally more powerful and influential as actors in relation to the majority of IPAs, as they possess greater – consultative, monitoring and/or budgetary – powers (Šabič 2008; Cofelice 2012). Moreover, conflicting national or ideological interests among members of IPIs inevitably restrict their capacity to intervene in global affairs. Parliamentary actors luck ordinary access to a number of resources available to governments (finances, intelligence, expert knowledge). Other limitations that several IPIs face, include the lack of continuity in their membership, the sporadic character of their activities and the overlapping between regional parliamentary organisations (Beetham 2006; Weiglas & de Boer 2007; Šabič 2008; Fiott 2011; Malamud & Stavridis 2011). There are differing views on terminology and classification within the Conflict Resolution and Peace Studies literature, however one could simplify the picture as follows. Conflict resolution is the overlying term that includes a number of processes. Three broad resolution processes can be identified: 1) conflict prevention, 2) conflict management and conflict settlement, which aim at the containment and the negotiated termination of conflict and 3) peacebuilding and conflict transformation, which aim at reconciliation, institutional entrenchment of peace and coexistence in post-conflict settings, reconstruction and the tackling of the root causes of conflict (Sandole 1998; Ramsbotham et al. 2005; Melander & Pigache 2007; Paffenholz 2009). Two notes are needed here: First, conflict resolution refers primarily to violent conflict, i.e. primarily ethnic conflicts and civil wars, but also interstate wars. However, it also applies to non-violent conflicts or crises at the international and national level (Ramsbotham et al. 2005, pp.27-9). Second, although conflict resolution includes coercive means of intervention – e.g. the deployment of armed forces in order to prevent escalation, safeguard an agreement (peacekeeping) or terminate conflict – and mediation (‘mediation with muscle’, ‘coercive diplomacy’) the emphasis is placed on (the less controversial) peaceful, non-coercive means (Ramsbotham et al. 2005, pp.19, 190; Jeong 2010, p.25) . Leaving aside legal methods of conflict resolution (mainly judicial settlement and arbitration via recourse to an international court), political peaceful methods of conflict resolution include more formal processes such as negotiations and peace talks, mediation, good offices and facilitation, conciliation, fact-finding missions, preventive diplomacy and early-warning measures to more informal practices, such as ‘problem-solving’ workshops, confidence-building, consensus-building; truth and reconciliation commissions, restorative justice practices, informal meetings, dialogue process, unofficial contacts through intermediaries, etc (Allen Nan 2003; Ramsbotham et al. 2005; Allen Nan et al. 2009; Jeong 2010; Mikulaschek & Romita 2011). A necessary condition for peaceful resolution is the participation of the conflicting parties; most, although not all, of these methods are conducive to, or even require, the involvement of third, external parties. involves official governmental or intergovernmental representatives, who may use good offices, mediation, and sticks and carrots to seek or force an outcome, typically along the win-lose or ‘bargaining’ line (Ramsbotham et al. 2005, pp.23-4). involves unofficial mediators who do not have carrots or sticks. They work with the parties or their constituencies to facilitate agreements, encouraging the parties to […] find mutually satisfactory outcomes (Ramsbotham et al. 2005, p.24). In a nutshell, track 1 diplomacy primarily refers to formal methods of conflict resolution and involves official actors, such as diplomats, ministers, heads of states and representatives of international organisations. Track 2 diplomacy refers to more informal methods which include unofficial actors, such as members of adversarial groups, members of the civil society, community and religious leaders, NGOs, etc. Thus, track 1 diplomacy has a structured and formal character; it operates at the higher political level and is indispensable for the conclusion of a political agreement. Track 2 diplomacy, also called ‘citizen’s diplomacy’, is considered as complementary and supportive to track 1, it involves interactive processes of peacebuilding among individuals and groups with limited or no formal political power with the goal to promote better understanding, trust and reconciliation at the societal level (Chigas 2003; Ramsbotham et al. 2005; Allen Nan et al. 2009; Jeong 2010; Jones 2008). Within this literature, more diplomacy tracks have been proposed; the concept of “multi-track” diplomacy has emerged, which essentially denotes that conflict resolution and peacebuilding is (or should be) a multilevel process (Schiff 2010). One of the multiple diplomacy tracks that have been proposed is track 11/2 diplomacy. ‘Track 11/2’, as implied in the very term, refers to those conflict resolution activities that lie between official and unofficial diplomacy. In an influential definition of track 11/2 diplomacy, this intermediate and hybrid character has been specified as ‘unofficial intervenors working with official representatives of the conflict parties’ (Allen Nan et al. 2009). This understanding of track 11/2 diplomacy as ‘public or private interactions between official representatives of conflicting’ political entities mediated by a third, non-official party (Mapendere 2005) seems to be prevalent. This understanding portrays track 11/2 as a bridge between official and unofficial activities (Allen Nan et al. 2009), i.e. as the space where track 1 and 2 meet, communicate and cooperate. If official diplomacy is necessary for the conclusion of a peace agreement and unofficial diplomacy is valuable for the identification of the root causes of conflict and the development of deeper trust between (ethnic) groups, then the coordination between actors at the intermediate level is vital for a solid, long-lasting peace (Allen Nan & Strimling 2004). However, track 11/2 can be also conceptualised as the fusion of official and unofficial diplomacy; in this case, track 11/2 is not merely a meeting space for two distinct sets of conflict resolution processes, but rather a new set of processes that emerges as a synthesis of track 1 and 2. The range of ­actors involved in track 11/2 diplomacy practices is broad and spans groups of officials and ‘unofficials’. Representatives of the conflict parties usually belong to the higher level: top decision-makers, government officials, opposition leaders, representatives of political movements, etc (Mapendere 2005; Allen Nan et al. 2009). Participant actors, moreover, might not be officials themselves, but explicitly authorised by officials. Moreover, track 11/2 diplomacy often involves mixed actors, i.e. talks between officials and nonofficials (Lieberfeld 2007). Mediators or third parties consist of a rather broader group of actors, although only rarely political leaders or international organisations. However, former high-ranking politicians (e.g. ‘The Elders’ group) or diplomats have served as mediators. A defining feature of track 11/2, though, is that mediators are usually non-officials, who have certain connections to official actors, are trustworthy and influential, but do not have (considerable) political power. Their role is mostly facilitative. Examples of mediators include research institutes, foundations, academics, NGOs and foreign government emissaries (lacking an official position) (Mapendere 2005; Heiling 2008; Allen Nan et al. 2009; Schiff 2010). Conflict resolution methods, practices and processes used in track 11/2 are rather closer to the ones of unofficial diplomacy: capacity building, training in negotiation skills, roundtable facilitation, dialogue, etc (Boergers 1998; Allen Nan et al. 2009). ‘Semiofficial talks’ as a preparatory stage towards formal negotiations have been also categorised as track 11/2 diplomacy; the same applies to the process of ‘good offices’ (Lieberfeld 2007; Schiff 2010). Thus, track 11/2 diplomacy seems to have certain appealing features in relation to tracks 1 and 2. First, it involves more flexible, informal and interactive methods – and, possibly, with longer-term effects – than official diplomacy. Moreover, participants usually have authority and resources, which implies that they have more power to influence (short-term) political change than non-official actors (Boergers 1998; Allen Nan 2003; Mapendere 2005; Lieberfeld 2007). In other words, track 11/2 diplomacy resembles track 2 in terms of methods and mediators, whereas it is closer to track 1 in terms of representatives and ultimate objectives (Mapendere 2005). On the other hand, due to the character of representatives, track 11/2 diplomacy faces the same political pressure characteristic of track 1, whereas at the same time the mediator does not have the power to apply a ‘sticks-and-carrots’ approach. Other weaknesses include suspicion of the mediator by the adversaries (e.g. as an instrument of state interests or as lacking neutrality), the lack of transparency in cases of secret talks, etc (Boergers 1998; Mapendere 2005; ICPS 2015). Parliamentary diplomacy and parliamentarians are rarely mentioned in accounts of track 11/2 diplomacy. However, parliamentarians have been involved in track 11/2 diplomacy, both as representatives of one of the adversarial groups or countries (Boergers 1998; Schiff 2010) and as mediators (Rafi 2005), although the latter role is better suited for IPIs. Two arguments that will be elaborated below can be made at this point. First, with regards to mediation, parliamentary actors, understood as encompassing parliamentarians and IPIs, clearly fit in the aforementioned defining features of mediators in track 11/2 processes (influential non-officials with connections to official actors). Second, parliamentarians cannot be strictly categorised as ‘typical’ representatives of conflicting parties in track 11/2 processes, as defined above (official agents of conflict parties); however, their political status does allow them to participate in medium-level conflict resolution activities and, more broadly, contribute to the preparation, initiation and implementation of conflict resolution processes. In a general sense, parliamentary diplomacy is closely related to the promotion of peace, as major declared goals of IPIs include multilateral cooperation, international understanding and, ultimately, the peaceful settlement of disputes. This article examines briefly the role of parliamentary actors in peacebuilding activities in the more concrete sense, i.e. in the resolution of violent or nonviolent conflicts between or within states. Conflict prevention and resolution is seen by many as an activity that parliamentary diplomacy can play a meaningful role (Malamud & Stavridis 2011). If one accepts that parliamentary diplomacy ‘represents an important middle ground’ between traditional and non-official diplomacy (Cutler 2006), then parliamentary diplomacy is a sub-category of track 11/2 diplomacy (PGA 2001; Rafi 2005). Parliamentarians can be considered as effective actors of track 11/2 diplomacy, as the milieu they primarily operate is the middle ground between governments, on the one hand, and citizens, grassroots organisations and NGOs, on the other hand (Weiglas & de Boer 2007). Parliamentarians, parliaments and interpaliamentary institutions have particular advantages vis-à-vis actors that refer to the two other tracks. In differentiation to diplomats and top officials, initiatives on behalf of parliamentary actors do not strictly bind governments; moreover, they can employ a higher number of alternative means and touch a wider range of issues (Malamud & Stavridis 2011). The above entail a level of flexibility (Beetham 2006) and impartiality for parliamentarians, two qualities that can render them suitable mediators. Moreover, in differentiation to non-official actors, parliamentarians have regular links with official actors and possess a degree of political legitimacy, since they are representatives of a people and can hold their governments accountable for their actions (PGA 2001; Weiglas & de Boer 2007; Šabič 2008). 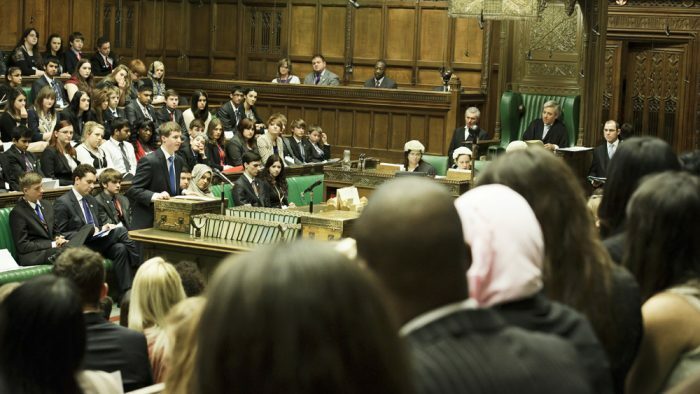 What do parliamentary actors do in conflict resolution processes? We can distinguish between the role of mediator and the role of representative in a conflict resolution process. A) With regards to conflict mediation, parliamentary engagement has taken many forms. Firstly, IPIs have taken various peace-making initiatives, such as visiting and conducting talks with officials, organising negotiations between adversaries, monitoring the implementation of peace accords etc. Such initiatives on behalf of the Parliamentarians for Global Action (PGA Task Force) constitute a good example (PGA 2001; Rafi 2005). Furthermore, parliamentarians from third countries may participate in information-gathering missions, confidence-building initiatives and other conflict prevention processes in conflict situations (PGA 2001; IDEA & IPU 2005). Pertinently, regional parliamentary institutions have participated in fact-finding missions, initiated or participated in peacebuilding activities, promoted inter-parliamentary dialogue, etc. The initiatives of the African AMANI Forum in the Great Lakes region represent a case in point (IDEA & IPU 2005; UNDP 2006; AMANI web archive). An important distinct subcategory of the preventive activities discussed here consists of electoral monitoring missions, in which parliamentarians participate in their capacity as members either of a national parliament or of an IPA; in cases of internal tensions or civil wars this can enhance the electoral legitimacy and prevent relapse to violence (IPU 2005; Malamud & Stavridis 2011). Moreover, national parliaments and IPIs provide assistance for the development of parliamentary institutions in post-conflict settings, a set of activities known as ‘parliamentary assistance’ (Weiglas & de Boer 2007; Malamud & Stavridis 2011). In addition,parliamentary actors on many occasions support the human and political rights of minorities in third countries (UNDP 2006), a practice that can impede their victimisation and, thus, contribute to the prevention of conflict escalation. However, it is often the case that both parliamentary assistance and minority support are is denounced (usually by governments and/or dominant groups) as illegitimate external intervention or even as instruments of neocolonial policies. In certain cases, parliamentarians have contributed to conflict resolution within their own country, by acting as mediators between the central government and rebel groups. Succesful examples of parliamentarian mediation in intrastate conflicts include the peace process in Aceh, Indonesia as well as the Chittagong Hill Tracts Accord in Bangladesh (IPU 2005; UNDP 2006). Finally, with regards to indirect types of involvement in conflict resolution, national parliaments can contribute to conflict resolution and international crisis management through the fulfillment of their standard responsibilities, such as the approval or co-formation of governmental (foreign) policy and the participation in IPIs (Tiilikainen 2008). In addition, parliaments issue resolutions and statements in order to put pressure for the termination of conflict and offer their political support for the conclusion of a peace process. Moreover,parliamentary actors have organised – or participated in – international meetings that examined particular conflicts and elaborated ways for their resolution (IPU 2005). B) Parliamentarians as representatives of one of the conflict parties can contribute to conflict resolution through (at least) the following three broad streams of processes and actions. The legislative role of national parliaments and parliamentarians in countries that experience transition from war to peace or face the prospect of ethnic conflict is highly important for conflict prevention, conflict management and post-conflict peacebuilding. Parliamentarians in such settings often contribute to the legislation of power-sharing institutions, the parliamentary representation of minorities, the creation of truth and reconciliation committees (e.g. in Burundi) and transitional justice processes (such as the Gacaca trial system in Rwanda), the promotion of democratic reforms, the oversight of the security sector, etc (IDEA & IPU 2005; O’Brien 2005; UNDP 2006; Dutta et al. 2009). However, it has to be stressed that parliaments may face several obstacles in performing a substantial role in post-conflict situations due to the semi-democratic character of the regime, limited substantial powers, the legacy of violence, etc (e.g. see Nakamura 2008 on the Rwandan case). Moving to the second stream, parliamentarians may act as official or unofficial representatives of (ethnic or political) groups in conflict resolution processes, usually not at the top level (e.g. formal negotiations). Parliamentarians, as representatives of groups or as members of an ethnic elite, can be certainly found among those actors that contribute to conflict escalation; however, they can equally play a ‘peace-making’ role discussed here. In fact, their formerly ‘militant’ role may lend them further credibility among ‘ingroups’ to act as their representatives. In this vein, in conflict-afflicted countries parliamentarians directly participate in conflict resolution initiatives with both official and unofficial actors (e.g. in Ukraine) (ICPS 2015). Similarly, in some cases of protracted conflicts (e.g. in Northern Ireland), parliamentarians from opposing sides have met within the framework of organised activities (meetings, training programs) in order to build mutual trust and enhance interethnic cooperation (Boergers 1998). Furthermore, parliamentarians and national parliaments can play a role in ‘national dialogue’ processes, i.e. inclusive negotiating mechanisms adopted (mostly) in post-civil war cases; for example, parliamentarians may directly participate in this process as representatives of political/societal groups and national parliaments can be among those bodies who select the participants (Papagianni 2014). Finally, with regards to more indirect activities, in cases of strained relations between states (e.g. US-Cuba, UK-Argentina, Pakistan-India), parliamentarians from one country have paid visits to the other, and thus have served as forerunners in the reconciliation process. Similarly, parliamentarians from different countries have met within the framework of IPIs, something that has contributed to the easing of interstate tension (IPU 2005; Stavridis 2006). This second case represents an example of indirect contribution of IPIs in peacebuilding. Parliamentary actors can contribute through various constructive ways in conflict resolution. Firstly, parliamentarians can contribute as representatives of their communities to the termination of intrastate conflicts and the enforcement of peace accords. Secondly, the growing number of international parliamentary institutions, national parliaments and individual parliamentarians have acted as mediators and facilitators through a variety of means (from the conduct of mid-level negotiations to fact-finding missions) towards the resolution of conflicts in third countries. In both cases, the role of parliamentary actors can be valuable in itself but also in complementing, the interactions among top officials and leaders. Parliamentary diplomacy in conflict resolution can be conceived as a form of track11/2 diplomacy, as it is in the advantageous position to combine methods and mentalities of both official and unofficial diplomacy. In other words, the ‘intermediate’ position of parliamentary actors, between the official and the societal level, provides them with the opportunity to act as a bridge and the flexibility to participate in an extended array of conflict resolution initiatives. This conflict-resolution capacity of parliamentary actors, although subject to a number of limitations, has yet to exhaust its potential for development. Alger, C. & Kille, K. (2014) “How Are, and Should, Parliamentarians of States Be Involved in Global Governance?”, Journal of International Organizations Studies, 5:2, pp.71-84, http://journal-iostudies.org/sites/journal-iostudies.org/files/JIOS_Vol5Issue2_Alger-Kille.pdf. Allen Nan, S. (2003) “Track I”, in G. Burgess & H. Burgess (eds.) Beyond Intractability, Conflict Information Consortium, University of Colorado, https://www.beyondintractability.org/essay/track1_diplomacy. Allen Nan, S. & Strimling, A. (2004) “Track I – Track II Cooperation”, in G. Burgess & H. Burgess (eds.) Beyond Intractability, Conflict Information Consortium, University of Colorado, https://www.beyondintractability.org/essay/track-1-2-cooperation. Allen Nan, S., Druckman. D. & El Horr, J. (2009) “Unofficial International Conflict Resolution:Is There a Track 11/2? Are There Best Practices?”, Conflict Resolution Quarterly, 27:1, pp.65-82. Boergers, M. (1998) “Track 11/2 Diplomacy in Northern Ireland”, in D. Smock (ed.) Private Peacemaking: USIP-Assisted Peacemaking Projects of Nonprofit Organizations, United States Institute of Peace, https://www.usip.org/publications/1998/05/private-peacemaking-usip-assisted-peacemaking-projects-nonprofit-organizations. Chigas, D. (2003) “Track II (Citizen) Diplomacy”, in G. Burgess & H. Burgess (eds.) Beyond Intractability, Conflict Information Consortium, University of Colorado, https://www.beyondintractability.org/essay/track2-diplomacy. Cofelice, A. (2012) International Parliamentary Institutions: Some Preliminary Findings and Setting a Research Agenda, UNU-CRIS Working Paper, Brugge: United Nations University Institute on Comparative Regional Integration Studies, http://cris.unu.edu/international-parliamentary-institutions-some-preliminary-findings-and-setting-research-agenda. Cutler, R. (2006) “The OSCE’s Parliamentary Diplomacy in Central Asia and the South Caucasus in Comparative Perspective”, Studia Diplomatica, LIX:2, pp.79-93. Dutta, N. et al. (2009) Strengthening Legislatures for Conflict Management in Fragile States, Woodrow Wilson School of Public & International Affairs, Princeton University, https://www.agora-parl.org/sites/default/files/Strengthening%20Legislatures%20for%20Conflict%20Management.pdf. Fiott, D. (2011) On the Value of Parliamentary Diplomacy, Madariaga Paper, 4:7, Madariaga College of Europe, https://www.researchgate.net/publication/216769998_On_the_Value_of_Parliamentary_Diplomacy. ICPS (2015) Mapping of dialogue initiatives to resolve the conflict in Ukraine, International Centre for Policy Studies, http://icps.com.ua/assets/uploads/files/mapping_of_dialogue_initiatives_eng_.pdf. IDEA & IPU (2005) Making reconciliation work: the role of parliaments, IPU Handbook for parliamentarians no10, International Institute for Democracy and Electoral Assistance and Inter-Parliamentary Union, http://archive.ipu.org/PDF/publications/reconciliation_en.pdf. IPU (International Parliamentary Union) (2005) Parliamentary Involvement in International Affairs, New York: International Parliamentary Union, http://archive.ipu.org/splz-e/sp-conf05/involvement-rpt.pdf. Jeong, H.-W. (2010) Conflict Management and Resolution: An Introduction, Abingdon, Oxon & New York: Routledge. Jones, P. (2008) “Filling a critical gap, or just wasting time? Track Two diplomacy and regional security in the Middle East”, Disarmament Forum, no. 2, https://www.peacepalacelibrary.nl/ebooks/files/UNIDIR_pdf-art2726.pdf. Lieberfeld, D. (2007) “Promoting Tractability in South Africa and Israel/Palestine: The Role of Semiofficial Meetings”, American Behavioral Scientist, 50:11, pp.1542-1562. Malamud, A. & Stavridis, S. (2011) “Parliaments and Parliamentarians as International Actors”, in B. Reinalda (ed. ), The Ashgate Research Companion to Non-State Actors, Farnham: Ashgate. Mapendere, J. (2005) “Track One and a Half Diplomacy and the Complementarity of Tracks”, Culture of Peace Online Journal, 2:1, pp.66-81, https://pdfs.semanticscholar.org/4ed0/f69423fe5651611f44210f1411b659ecf022.pdf. Melander, E. & Pigache, C. (2007) “Conflict Prevention: Concepts and Challenges”, in Konfliktprävention zwischen Anspruch und Wirklichkeit, Wien: Akademiedruckerei LVAk, pp.9-18. Mikulaschek, C. & Romita, P. (2011) Conflict Prevention: Toward More Effective Multilateral Strategies, New York: International Peace Institute. Nakamura, R. (2008) “The Role of the Rwandan Parliament in Conflict Prevention”, in M. O’ Brien, R. Stapehurst & N. Johnston (eds) Parliaments as Peacebuilders in Conflict-affected Countries, Washington DC: The World Bank, pp.121-134. Paffenholz, T. (2009) “Understanding peacebuilding theory: Management, resolution and transformation”, New Routes, vol.14, pp.2-6, http://life-peace.org/resource/number-2-2009-conflict-transformation-three-lenses-in-one-frame/. Papagianni, K. (2014) National Dialogue Processes in Political Transitions, European Peacebuilding Liaison Office, Civil Society Dialogue Network. PGA (Parliamentarians for Global Action) (2001) Ten years of Peace-making. Ramsbotham, O., Woodhouse, T. & Miall, H. (2005) Contemporary Conflict Resolution: the prevention, management and transformation of deadly conflicts, 2nd edition, Cambridge & Malden, MA: Polity Press. Šabič, Z. (2008) “Building Democratic and Responsible Global Governance: The Role of International Parliamentary Institutions”, Parliamentary Affairs, 61:2, pp.255-271. Sandole, D. (1998) “A Comprehensive Mapping of Conflict and Conflict Resolution: A Three Pillar Approach”, Peace and Conflict Studies, 5:2, https://nsuworks.nova.edu/pcs/vol5/iss2/4/. Schiff, A. (2010) “‘‘Quasi Track-One’’ Diplomacy: An Analysis of the Geneva Process in the Israeli–Palestinian Conflict”, International Studies Perspectives, 11:2, pp.93-111. Stavridis, S. (2006) “Parliamentary Diplomacy: Any Lessons for Regional Parliaments?”, paper presented at the conference The International Relations of Regions: Subnational Actors, Paradiplomacy and Multi-level Governance, Zaragoza, October 5-6. Tiilikainen, T. (2008) “Toward an Active Participation in Foreign Policy — The Role of the Finnish Parliament in International Conflict Prevention and Crisis Management”, in M. O’ Brien, R. Stapehurst & N. Johnston (eds) Parliaments as Peacebuilders in Conflict-affected Countries, Washington DC: The World Bank, pp.213-224. Weiglas, F. & de Boer, G. (2007) “Parliamentary Diplomacy”, The Hague Journal of Diplomacy, 2:1, pp.93-99. Thomas Goumenos is a political scientist (MA University of Essex, PhD Panteion University). His primary research interests are nationalism, contentious politics and separatist movements. He has taught at Athens Metropolitan College; since 2015 he has been working as assistant to a Member of the Greek Parliament. His publications include “Nationalism”, in P. Joseph (ed.) The SAGE Encyclopedia of War: Social Science Perspectives, Sage Publications, 2017, “The Pyrrhic Victory of Unitary Statehood”, in E. Kavalski and M. Zolkos (eds) Defunct Federalisms, Ashgate publications, 2008.